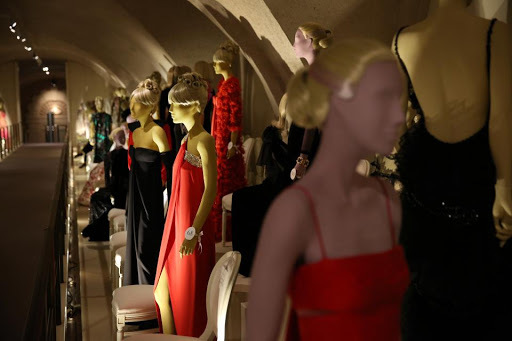 Last week I ventured to Somerset House to see the Valentino exhibition. I’m not the biggest fan of Valentino- I’m not sure why, but his designs simply have never really done it for me, too ostentatious and too Italian I suppose : /. Anyway, after hearing great things about the exhibition (in particular about its layout) I decided to take a visit. I have to say it was an hour well spent. The layout of the exhibition was superb, as I expected. 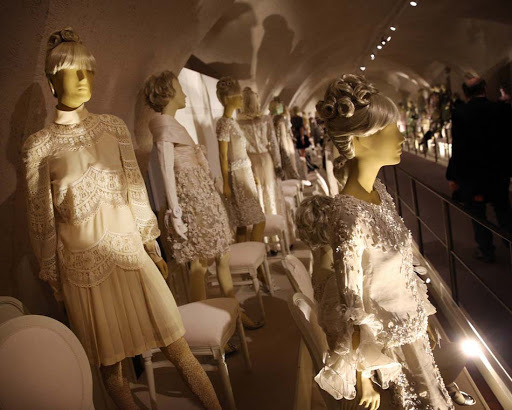 The long tunnel in Somerset house helps to give the exhibition a very intimate feel, and the mannequin layout meant you were able to get relatively close to the dresses, and see all the details. The mannequins too are fantastic, and very lifelike. It is great having the variety of seated and stood mannequins which gives a good understanding of the way the garments move with the body. I particularly liked the Valentino garments from the 50s and 90s. I realised that much of my dislike for Valentino applied to his early 00s garments, although overall the embellishment and detail within each piece was jaw-dropping. You could really see the process of designer revisiting and re-inventing designs from his archive. The textile techniques downstairs at the exhibition really gave a clear view of how different details on the garments were made, and due to my own background in fashion design I couldn’t quite get over the sheer volume of work that must have gone into some of the dresses. The wedding dress downstairs too, is just beautiful, so romantic, timeless and “intimate” (I know that’s a weird word to describe a dress…but that just conveys what I felt about it). 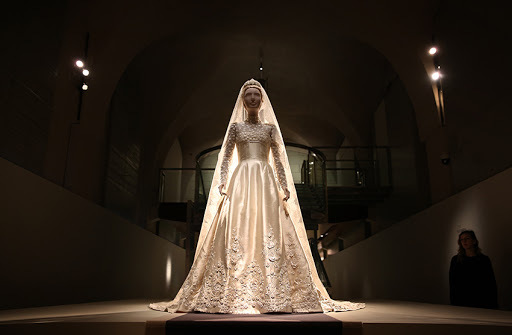 I think this has to be the highlight of the exhibition, especially the way you walk up to it, almost as if you are the groom, seeing the bride. Complaints? For me, the details about the dresses were pretty scant, but then again I like to leave an exhibition feeling like I’ve been educated. After leaving Valentino I felt like my eyes had been treated to beautiful things, but I didn’t really have a lot to say. For example I was absolutely fascinated by the series of garments from 1990 which were originally designed in the 50s. I was desperate to know how, and why this came about… I think I’ll have to take a look at some of the Valentino books on offer for some more info. I feel like this is a fashionistas exhibition rather than a fashion historians, but deeply enjoyable nonetheless. If in thew next two weeks you decide to visit. 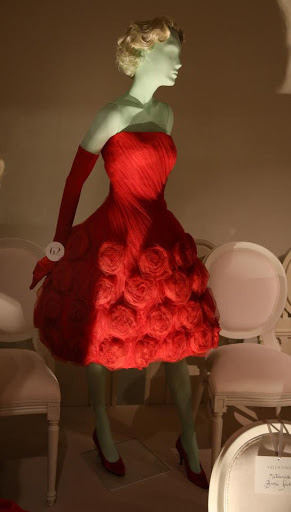 The Tim Walker exhibition that i blogged about here is a must visit too. 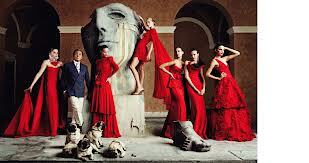 Valentino: Master of couture is on at Somerset house until 3rd March. Images all from the Somerset House facebook page.